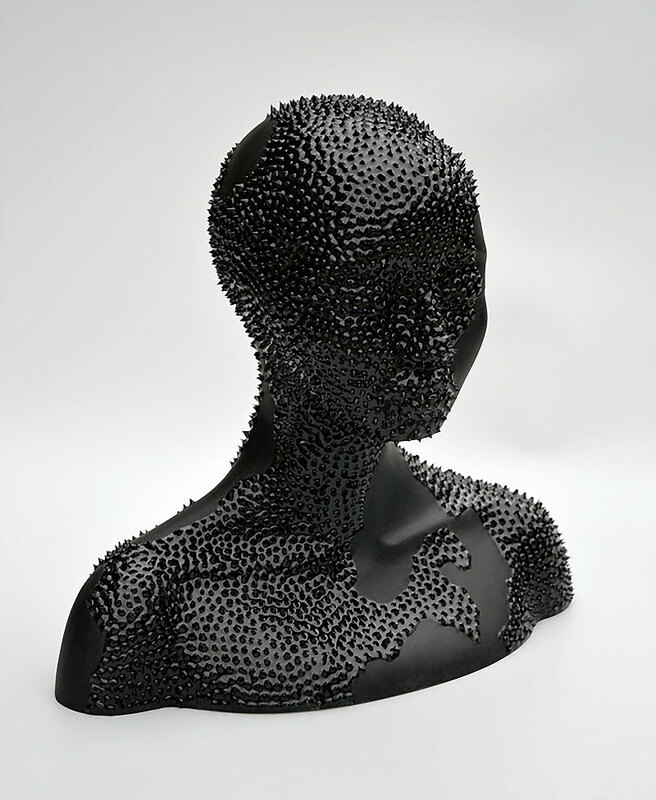 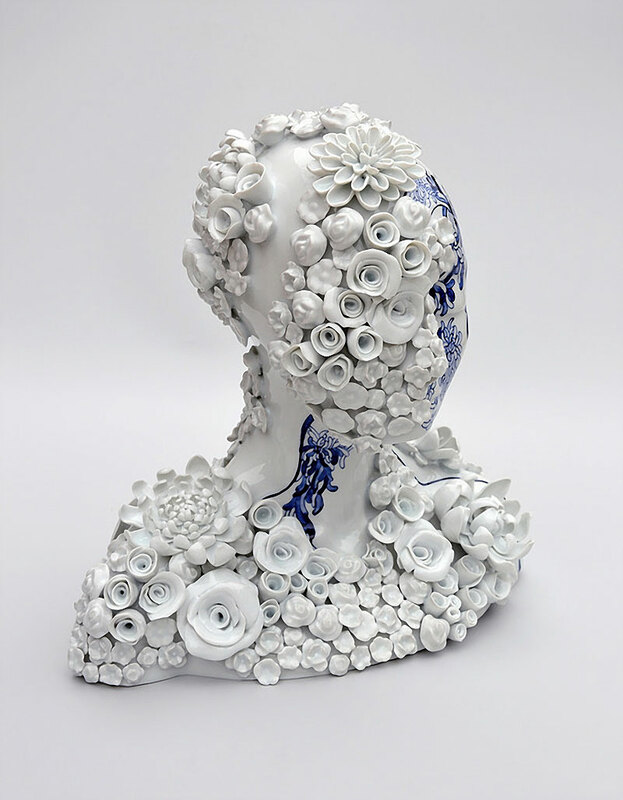 Ceramic sculptures of women transformed into hybrid beings by French artist Juliette Clovis based in Bordeaux, France. 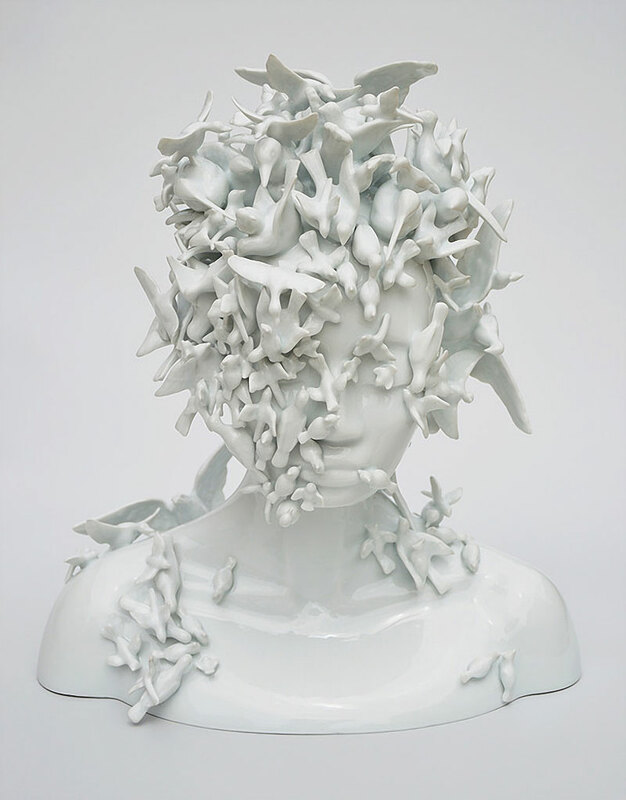 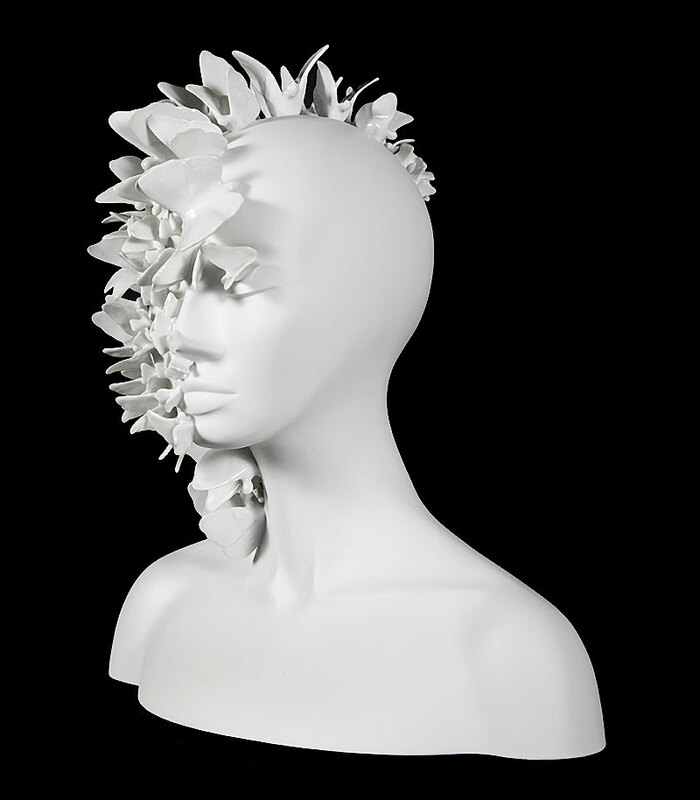 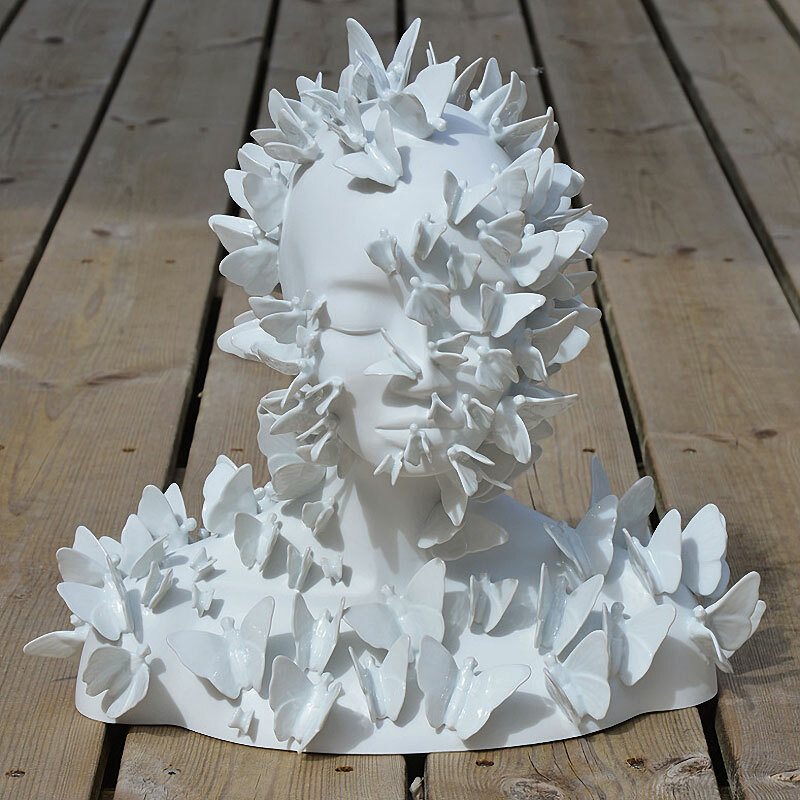 The female busts are invaded by a profusion of wildlife and flora—butterflies, flowers, birds, and antlers—using cut Limoges porcelain. 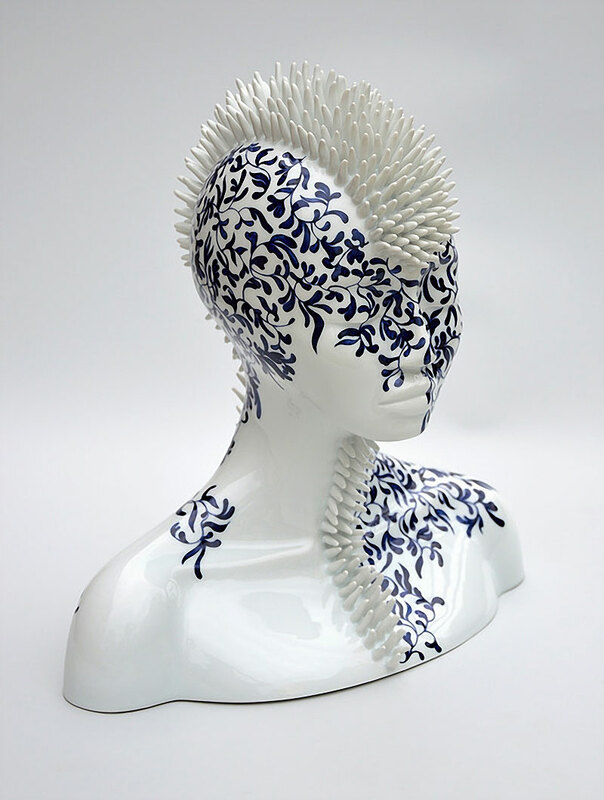 The artist draws inspiration from the wild beauty of nature discovered during her many trips to create her "human jungles" and to explore the wild aspect of the human body. 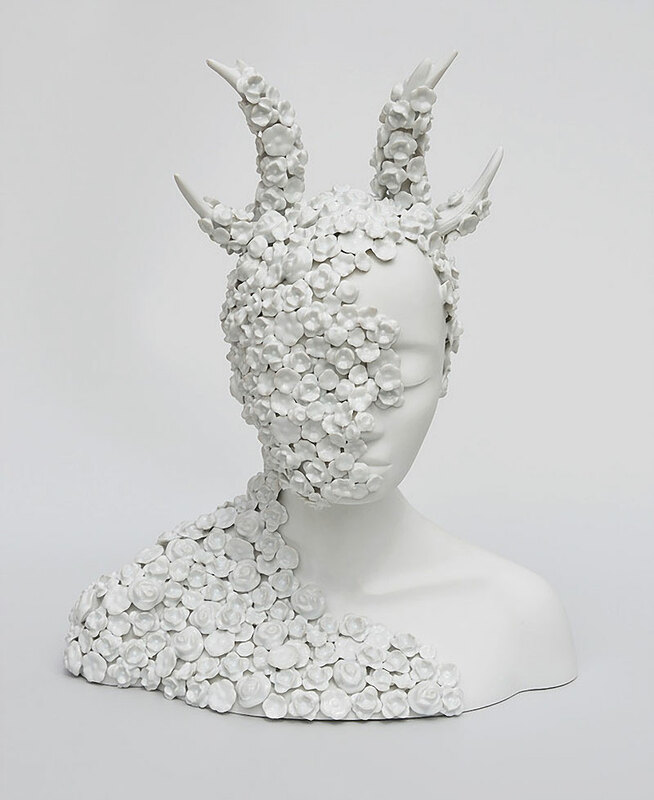 Conjugating ambiguity and employing metaphors, Juliette’s work wobbles between a prophetic picture announcing the birth of a new living being, human body with a half-animal half-vegetable face, and the onset of death caused by a hungry nature wanting to take back its rights. 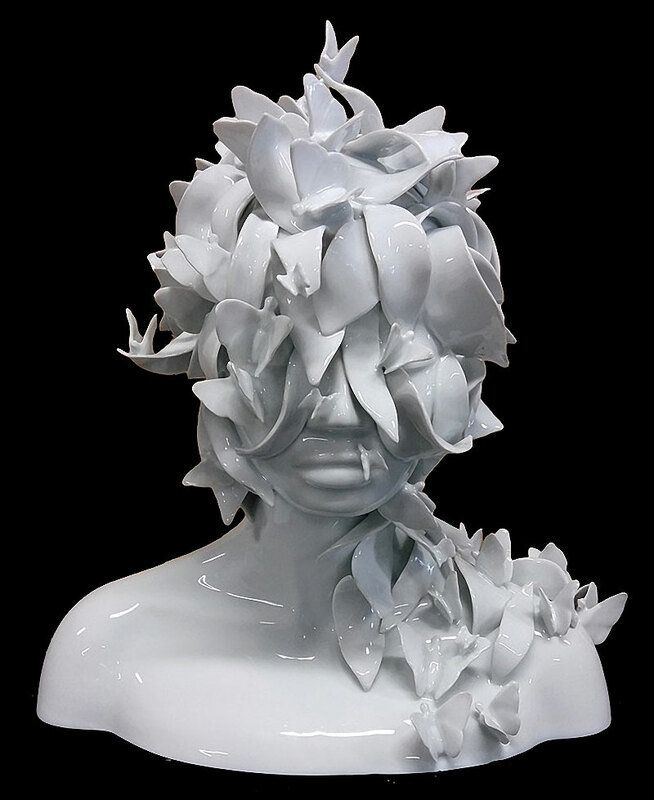 Ceramic sculptures of women transformed into hybrid beings by French artist Juliette Clovis based in Bordeaux, France.